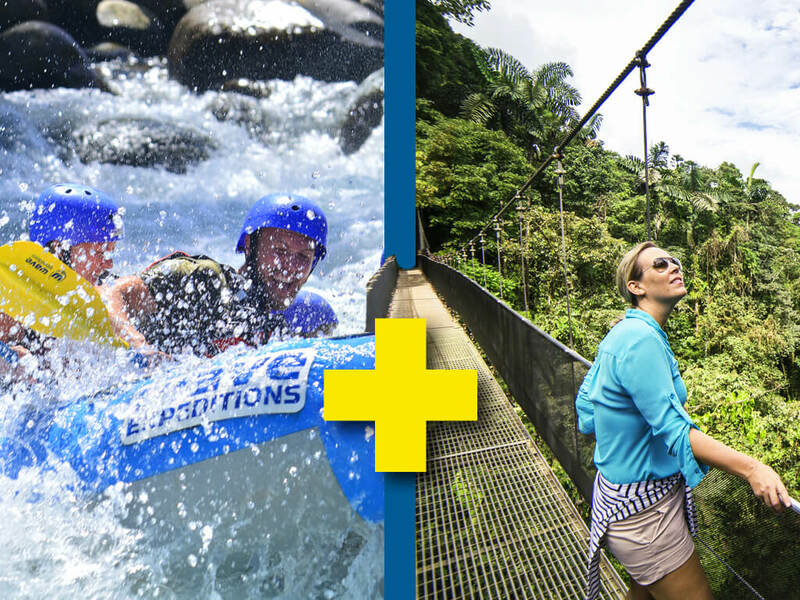 Hanging Bridges and Rafting Adventure Combo is designed for someone who wants to see the beauty of the Tropical Rainforest from a spectacular vantage point, above the trees!. Your exciting day on this Adventure Tour begins when your guide picks you up at your hotel for your Hanging Bridges Experience. The Arenal Volcano Hanging Bridges Guided Hike offers an amazing view of the rainforest. This easy, guided hike is wonderful for nature lovers of all ages. Along the trails inside this private natural reserve of nearly 250 hectares of Tropical Rainforest, you might encounter leaf-cuter ants, wild boars, vipers, tarantulas, poisonous dart frog, toucans, monkeys and sloths and other Costa Rica Wildlife. 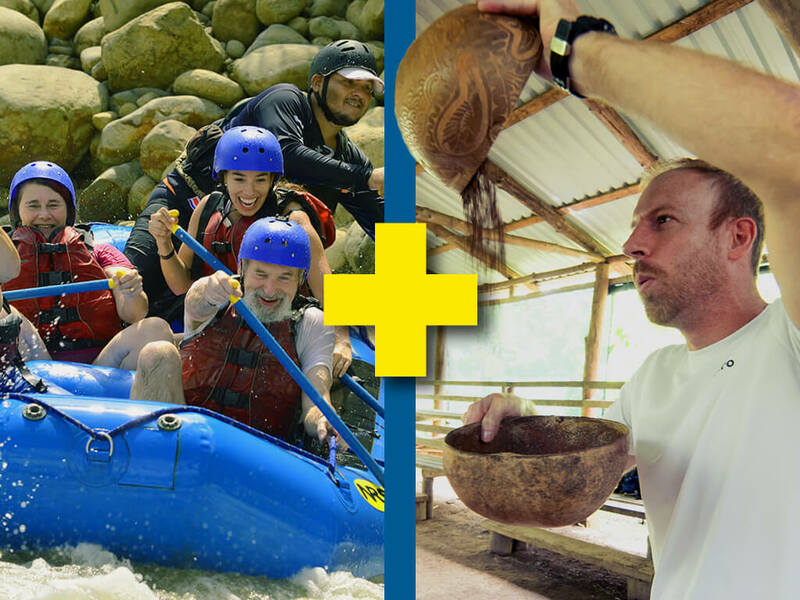 Your day on Hanging Bridges and Rafting Adventure Combo has barely begun. Your next stop will have you heading to the exciting Balsa River. In just a short amount of time, your rafting guide will teach you what you need to know to navigate this Class II-III river and teach you the skills to keep you safe. Once you have had some time to try out your skills, you will be off on an action packed two-hour white water rafting tour. 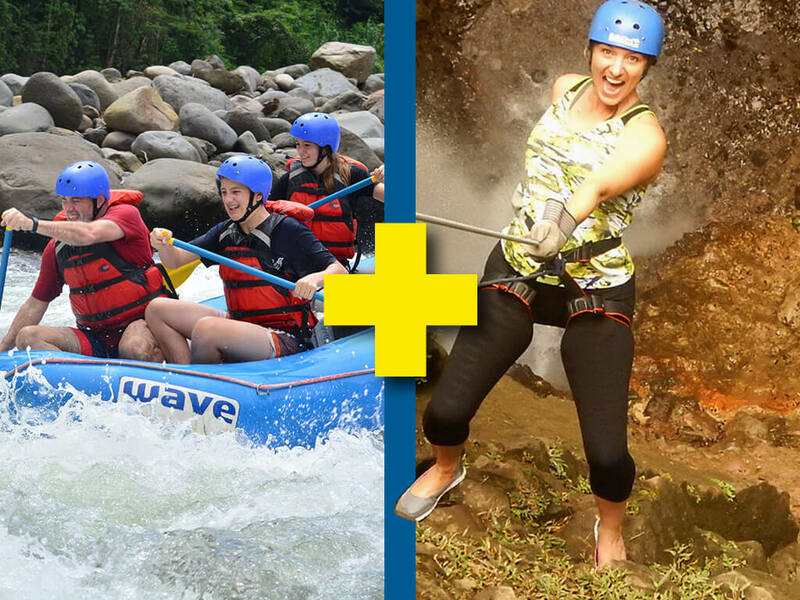 Balsa River winds through the heart of the rainforest and will take you on fun and thrilling white water rapids like “Magnetic Rock” and “Dredges.” Balsa River is one of the best rafting experiences you can have in Costa Rica. Keep your eyes open, because you are likely to spot some birds, monkeys or maybe even a sloth along the route.Your rafting guides will stop for a break, so you can enjoy a refreshing swim or jump off the river banks to cool off while they prepare fresh tropical fruits. You will be surprised at their decorative offering and enjoy a refreshing ice cold drink during your rest. Get back on the river, you’re not done yet, there are still some rapids waiting for you. When you reach the take-out point, you will be ready for your delicious Costa Rican lunch. 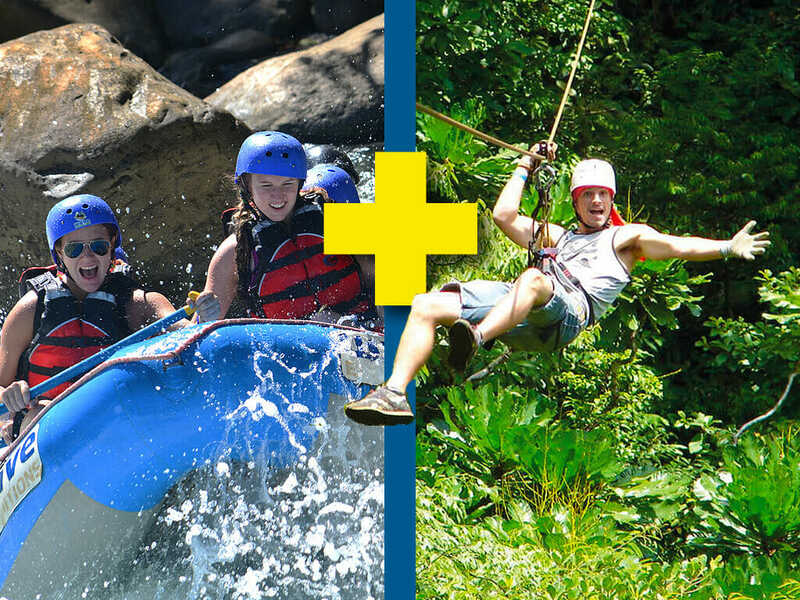 The exciting Hanging Bridges and Rafting Adventure Combo is an great way to start your Costa Rica Holidays.